Only one person in ten remains unaware of the digital switchover. That's according to the latest research by Ofcom and Digital UK, the bodies responsible for the sweeping change to the way in which we receive our television. The digital switchover will see the analogue television signal switched off, requiring people to have the equipment to receive a digital television signal if they want to continue watching. It was trialled in Whitehaven in October 2007, and is due to begin national roll-out in November of this year. Only two-thirds of the UK had heard about the changes when the survey was last done, in May 2006, but that figure has now risen to 89 per cent. A new advertising campaign is due to reassure viewers that their sets can probably be converted over to the new digital signal. 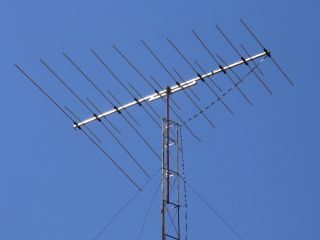 Although the chances are that people will have to invest in a digibox if they currently receive their television through a traditional analogue aerial. David Scott, chief executive of Digital UK, said: “This latest research is further evidence that viewers across the UK are embracing and enjoying digital TV. More than three-quarters of the UK’s 60 million television sets are now ready for digital broadcasts.